Looking For A New or Used Mahindra Engine? Searching for Mahindra engines for sale? Allow us to help you find a Mahindra engine quickly! The instant you call us or complete the online form, your engine enquiry will get despatched instantly onto a substantial group of Mahindra junk yards, rebuilders, car salvage yards and Mahindra engine importers. Just pick the appropriate automobile manufacturer type in your vehicle details and submit the form. On the other hand give us a call! Then just relax and wait the fitting offers to arrive to you by way of e-mail or telephone. You should be aware unfortunately we cannot promise any of the suppliers’ engines, action or services. Need quote on used engine ? looking for a complete second-hand or new Mahindra Genio 2.2 Turbo diesel engine, year model is between 2013 - 2014. I am looking for a complete engine for a Mahindra Scorpio, 2.2lit, 2010 model. looking for a complete engine for a Mahindra 2.6 Scorpio, 2007 model. I am looking for a complete engine for a Mahindra Scorpio, 2.6 Turbo, 2005 model. I am looking for the sleeve, standard rings, oversize main and konrod bearings, truss vices on crank, small end bushes, konrod bolts, full gasket set, oil pump, thermostat, cylinder head bolts and timing kit for Mahindra, 2.5 Turbo, 2014 model. I need a complete engine for a 2005 Mahindra 2.6, I am situated in Durbanville, please call back with price and availability. GOOD DAY, I AM LOOKING FOR A MAHINDRA 2.2 16V BAKKIE COMPLETE ENGINE. I am looking for a complete engine for a Mahindra Scorpio, 2.6lit, MMG4D18596. Many reasons exist why Mahindra is amongst the most sought after automobile brands. It is eye-catching, one of a kind, efficient, classy and comfortable. In fact, it is essentially the most sold brands. Another thing relating to this brand is that it is costly to own and keep. On account of extremely high prices, most people could find themselves not using his or her automobile for longer intervals while they save up the money in making necessary repairs even though this might be mandatory, many times, it exposes your car to several more side effects and problems that manifest in the event the car engine has not operated for some time. Astonishingly, you can arrange second-hand Mahindra auto engines an inexpensive price, and limit the engine damage while you still enjoy the convenience of your car. The truth is, the task to find second hand Mahindra spare engines within Johannesburg is usually easy seeing as there are many organizations which sell these kinds of auto engines. Nevertheless, it is still crucial that you assess these businesses seeing that a few will offer undesirable auto engines which may simply increase the problems. What must you keep in mind? There are many businesses that specialize in promoting Mahindra engines in Johannesburg and tracking down one is an easy procedure. All the same, not every one of these kinds of business will probably be created similarly. 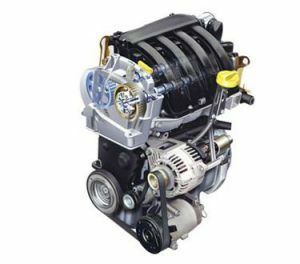 Under you’ll find out much more about some of the elements that you can consider before selecting the organization to order your replacement auto engines. • Think about the track record – The status for the dealer is apparently the simplest way you’ll know if the dealer is worth hiring. Distributors who have frequently sold dependable second-hand engines will surely have a very good customer base for the location. Testimonials, online reviews, and word-of-mouth reports from past clients will assist you to figure out what you may expect while confronting a selected firm. Authority review web-sites is yet another effective resource because they class suppliers in accordance with their capability to fulfill buyer demands. Otherwise, browse the professional critique websites that rate and class the suppliers as per their dependability to the purchasers. • Quality assurance – High quality second-hand engines should come with a quality promise. This is especially true if you are planning to utilize a individual program to put in the replacement engines. • Variety – The right Mahindra engines stores will offer numerous second hand spare engines to fit virtually any type of Mahindra. This type of big choice will assist you to ensure you are getting top quality engines. You will find auto engines which might be hitched from brand-new autos and were sold for auto engines attributable to a collision. The shop should be able to provide you with options on which auto engines you must decide on. Except for the above-mentioned things, you’ll have to consider the maintenance services, guarantee, budget, and also the insurance protection elements. It is all about finding a supplier that is certainly reliable and economical. The job to find second hand Mahindra engines in Johannesburg is pretty quick particularly given that some of the most honest firms have professional web sites that supply you with the information you need. Just do a search for scrap yards in close proximity to your residence in your favored browser then utilize the above insights to restrict for the ideal scrap yard. You can also purchase from famous trustworthy dealers like Mahindra Scrap Yards in Johannesburg. It is usually generally preferable to purchase second hand Mahindra engines from trustworthy licensed motor engines stores that are permitted to operate in the area. This would make sure you get the best and conditions that permit you to assert reimbursements for engines that don’t meet your requirements.